The Damnesia Autoflowering is a cross between the Damnesia and a Ruderalis landrace. 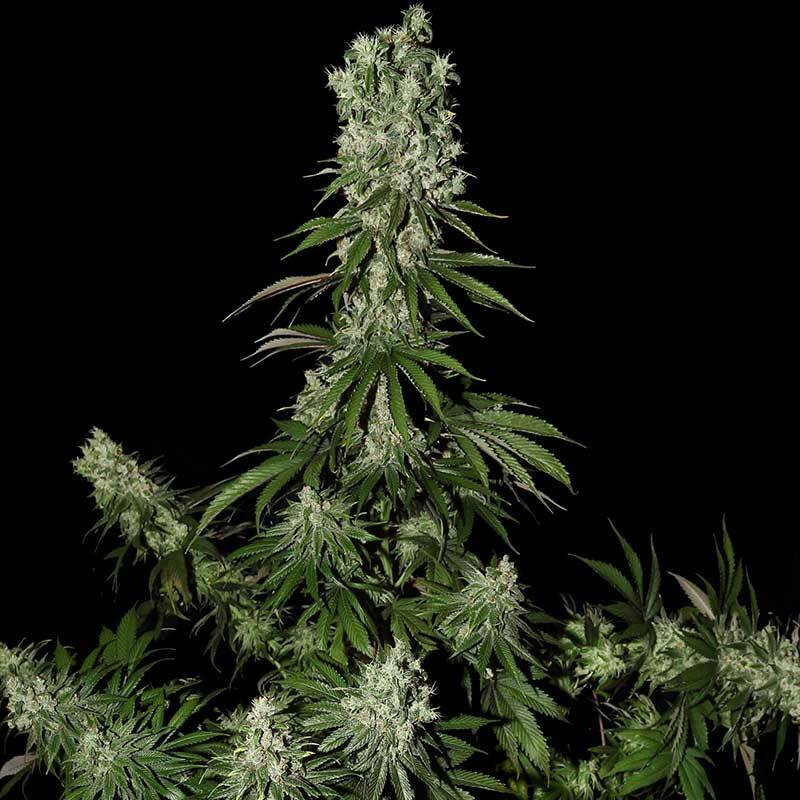 The Damnesia Autoflowering is a fast-flowering hybrid, with a great sativa high and a vigorous attitude. The plant grows up to 80-120 cm and develops medium-long branches. The leaves are sativa-like, with non-overlapping leaflets, and the internodes are medium-long. The aroma of the resin is woody, flowery yet mossy. It is a complex scent that translates very true to its characteristics after combustion. The buds are long, with medium density, covered in thick resin. The flowering time is only 7 weeks, with a total crop-time of 9 weeks. The Damnesia Autoflowering likes a moderate feeding regime with a maximum EC of 1.9-2.0 depending on the grow parameters. The Damnesia Autoflowering has a strong appetite-stimulating effect and is good for pain control. Very brownish in colour, pear-shaped nugs. Long pistils, thick resin, slightly airy density. AROMA (Unburned): Damnesia autoflowering smells like cedar wood, nuts and incense. It is a typical sativa smell, with a twist. EFFECTS Speed of high onset: creeper effect. Duration of high: short-medium lasting. Quality/type of high: clear balance between sativa and ruderalis, with a heady side and a social giggly outcome. FLAVOUR (Burned): the typical incense-like flavour of the Damnesia comes back very well in the auto flowering version. Woody, slightly spicy, intense. FLOWERING TIME Flowering Indoor: 7 weeks flowering time with a yield up to 0.6 gram (dry and manicured) per watt per m2 (with 1000W HPS). Can be flowered at any photo period between 12 and 18 hours of light per day.Flowering Outdoor: 7 weeks flowering time with a production up to 70-80 grams/plant. Very strong plant, medium branching. 90-120 cm. total height. HEIGHT 80-120 cm total height. Very strong plant with medium branching. MEDICAL Good for appetite stimulation and pain control.